It looks like another swing and a miss for the Oakland A's in their quest for a new ballpark near downtown. BART has said it cannot build a station at the Howard Terminal site the A's have eyed for their new stadium. BART officials said a station at the site, just north of Jack London Square, would be too disruptive to its service and would take too long to design and build. That could be a huge stumbling block in the team's new ballpark plans. A Howard Terminal stadium would put the A’s right on the water and within walking distance of Jack London Square. But the nearest BART stop is West Oakland, 11 blocks away through a very industrial part of town. BART’s general manager told the team a new station close to the site was unlikely but added the agency would work with the team on connecting the West Oakland and 12th Street stations to the Howard Terminal site. A’s fans feel it’s just another gutter ball. "They’re not going to get Laney College," fan Dominic Kellermann said. "So, now it looks like they’re not going to get this spot either, which just leaves the Coliseum, the original Coliseum spot." The Coliseum is not where the A’s want to be, and their fans say with good reason. Asked what’s wrong with where the team is now, fan Kelly Hall said: "Crime." Zak Belanger added: "Just make it a better thing for families and stuff. To be in the Coliseum is tough that way. There’s not a lot to do around it." Kellermann said today's sports stadiums are about the neighborhood and the experience. "It needs to be about the team, it needs to be about the event," he said. "But it’s before the event and after the event. You go to the Coliseum, and you leave the Coliseum." City Councilwoman Rebecca Kaplan said there's still hope for the Coliseum site because it lends itself well to enhancing the fan experience. 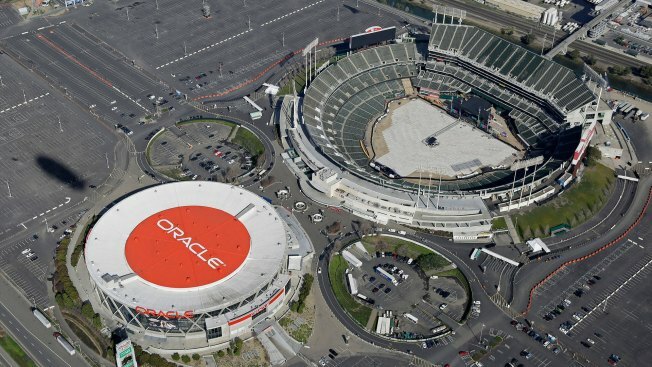 "The reason the Coliseum site would be perfect for the kind of development fans want is because we have a huge number of acres that are in public hands," Kaplan said. "So we have room to add restaurants and shops and bars."